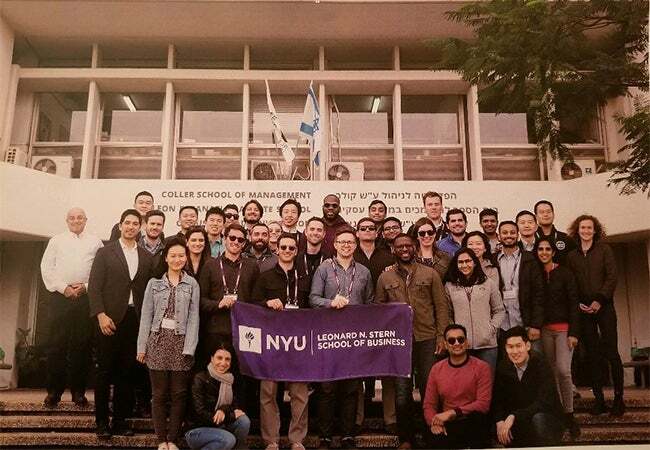 In January, six groups of MBA students traveled to Australia, Costa Rica, Hong Kong, Israel, Singapore and South Africa for a series of NYU Stern “Doing Business in (DBi)” courses. Students who participated in DBi Singapore attended lectures on technology and entrepreneurship in the region and also studied the art of negotiating across cultures. The group met with corporate representatives from Chang Beer, Marina Bay Sands and Singapore Airlines. DBi Costa Rica, centered in San Jose, allowed students the opportunity to learn about supply chains in Latin America and featured lectures on sustainable development and the impact of tourism on the Costa Rican economy. Additionally, the group took a tour of the El Cedral farm, which is the world’s first carbon-neutral coffee supplier. DBi Israel, based in Tel-Aviv, offered students the opportunity to meet with executives from Ayeka, IDE Technologies, Nano Dimension, Netafim, RH and Vertical Field. During the DBi, students learned about the Israeli macro environment and defense sector. Students arrived in Cape Town for DBi South Africa and attended lectures on impact investing in Africa, sustainable energy and long-term infrastructure in the region. The cohort met with representatives from SPAR South Africa and made a stop at the Umoya Energy wind farm. On DBi Hong Kong, students participated in lectures on social issues in China and the competitive landscape in the Chinese market before making a trip to the MTR in Kowloon Bay. DBi Australia, based in Sydney, focused on understanding Australian business norms and innovation in the region. Students had the opportunity to meet with executives from Bridgeclimb and Stone & Chalk. Second week of #DBiSingapore flew by too quickly- seriously!